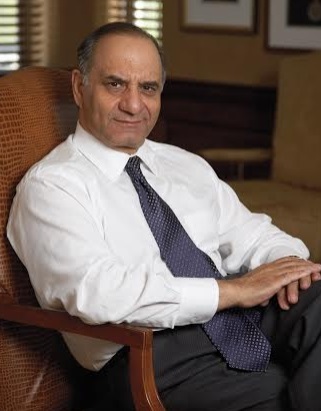 Farooq Kathwari is the Chairman, President and CEO of Ethan Allen Interiors Inc. since 1988. He has received several recognitions, including being inducted into the American Furniture Hall of Fame; the Outstanding American by Choice award from the U.S. government; the Eleanor Roosevelt Val-Kill Medal; the National Human Relations Award from the American Jewish Committee; the National Retail Federation gold medal; the International First Freedom Award from the Council for America’s First Freedom; Ernst & Young’s Entrepreneur of the Year Award; the Anti-Defamation League’s Humanitarian Award, and the Entrepreneurial Excellence Award from the National Association of Asian MBAs. He was also recognized by Worth magazine as one of 50 Best CEOs in the United States. 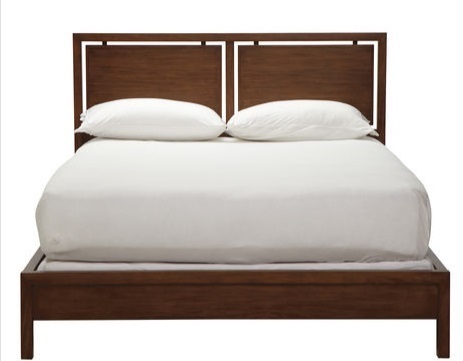 How did you get into the furniture industry? I was born in Kashmir, which was for centuries part of the Silk Road connecting the East to the West. For generations, my family was involved in arts and crafts. One of my grandfathers was a collector of artifacts from China, Central Asia and India. My other grandfather was a well-known scholar and a merchant of Pashmina—the fine wool. I grew up surrounded by great artifacts. I arrived in the U. S. at the age of twenty and attended night school at NYU for an MBA. I worked during the day at a small envelope printing company. My grandfather decided to send me twelve wicker baskets of Kashmiri arts and crafts to sell. I sent the money I made from selling the items back to him. That was the start of my business. I got lucky; Bloomingdale’s was a customer, and then Ethan Allen—with whom I later started a joint venture to develop home furnishing products, including furniture from many parts of the world—also became a customer. The joint venture company merged with Ethan Allen. Tell us about Ethan Allen. What inspired the idea and what is your vision for the company? Ethan Allen was started in 1932 by two entrepreneurs from New York who purchased a woodworking factory in Northeastern Vermont and started making Early American furniture. They named the product line “Ethan Allen.” They pioneered what is called the gallery concept, which is having space in large stores showing one brand. In the 1960s, they reinvented that concept by establishing freestanding galleries dedicated to the Ethan Allen brand. My involvement in the 1970s and 1980s introduced total home products, thereby enabling Ethan Allen to provide a fuller interior design service. The business went from selling product to helping clients create beautiful homes. Ethan Allen has always been, and will always be, America’s classic design brand. Today, the definition of home has evolved to mean something less formal, more relaxed. Fashionable yet livable. The designs are always timeless, and the craftsmanship is always exceptional. We still build most of our products by hand, one piece at a time, in our North American workshops. Today, we have about 300 Design Centers, 200 in North America and 100 overseas, and are the world’s leading interior design company with about 2,000 interior designers. Our objective is to continue to focus on helping our clients create beautiful homes. What strategic partnerships/marketing strategies have you implemented that have attributed to Ethan Allan's success? Our model is fundamentally different from that of most of our competitors in that we are vertically integrated. We don’t just sell products; we also design them and build them. This gives us greater control over our own destiny and allows us to bring products to the consumer at a better value. One great example of partnership is our national network of dedicated licensees and company-owned Design Centers. The difference between them is invisible to clients, who get the same outstanding products and services from both. Another key partnership for Ethan Allen has allowed us to develop a very strong presence in China. We now have 73 locations there, and when you consider that we are now doing business in over a dozen different countries, this American company has become a true international brand. One is the trend towards more casual, relaxed lifestyles, so we are designing, for instance, sofas with deeper frames and lower seating heights and coffee tables using materials like industrial steel and textured timber. Another trend, of course, is the constant and growing importance of technology, so we are doing things like equipping every designer in our Design Centers with tablet PCs and reinventing our website, which is where most window-shopping takes place today. “Insanity is doing the same thing, over and over again, but expecting a different result.” It is important to change with the times. If you don’t get out ahead of change, it will get out ahead of you, and then suddenly you’re behind. Your greatest success as CEO of Ethan Allen? Most difficult moment-how did you overcome and what did you learn? The Great Recession was a major challenge, not just for Ethan Allen, but for many, many companies. We were severely tested, but our integrated business model helped us weather the storm better than most. The fact that we came through it and emerged healthy and strong is something I’m very proud of, but I must say that I hope my greatest success as CEO is still to come. I used to climb mountains and learned that if you ascend too far too fast, you can develop water in your lungs, and then, of course, the climb is over. So my advice is to always keep climbing, but know when to push it and when to catch your breath. Connected to that is the value of taking the long view. There’s too much short-term thinking in the world today, and that leads to a lot of failure. Basic human dignity. I have found that when you treat people fairly, honestly and with respect, they respond in kind, and a true sense of teamwork emerges. An apple from our apple farm in the Hudson Valley and a glass of water. Now I Know Who My Comrades Are by Emily Parker. It weaves together several true stories of how people are using the internet to challenge oppressive regimes and create positive change in the world. Business: Nat Ancell, founder of Ethan Allen. He had lots of courage, especially making the decision to have a young person named Farooq head an iconic American brand. Personal: Our oldest son for his sincerity and great desire to help others. Spending time with my family is my greatest joy, especially now that we have young grandchildren around. It’s interesting that we’re launching a test flight back into space this week with the goal of going to Mars. So many headlines today are about conflict or gossip that it’s good to see a story that can inspire the imaginations of people all over the world. What's next for Ethan Allen? Years ago, we were a furniture company. Today, we are a total home brand. That means everything from lighting and rugs to drapery and artwork and exotic conversation pieces crafted by artisans around the world. We will continue to evolve in this direction, giving our clients everything they need to create unique statements of their own personal style. I like to say that, even though Ethan Allen has been around since 1932, we are just getting started. Kathwari serves in numerous capacities at several nonprofit organizations, including as Chairman Emeritus of Refugees International (RI); a member of the Council on Foreign Relations (CFR); a member of Board of Overseers of the International Rescue Committee (IRC); a member of the advisory board of the Center for Strategic and International Studies (CSIS); a member of International Advisory Council of the United States Institute of Peace (USIP); director emeritus and former chairman and president of the American Home Furnishings Alliance (AHFA), and a director and former chairman of the National Retail Federation (NRF). He also serves on the boards of Western Connecticut State University Foundation and Arts Westchester. He founded and chairs the Kashmir Study Group. He served as a member of President Obama’s Advisory Commission on Asian Americans and Pacific Islanders from 2010 to 2014.